The online school of psychological astrology. The Mercury Internet School of Psychological Astrology (MISPA) offers a fully online way of learning psychological astrology from wherever you may be in the world. Here you can study for a Diploma in Psychological Astrology or take our webinars from acclaimed professional astrologers and tutors to further your knowledge or just for sheer pleasure. Obviously astrology has much to offer psychology, but what the latter can offer its elder sister is less evident... It would seem to me advantageous for astrology to take the existence of psychology into account, above all the psychology of the personality and of the unconscious. 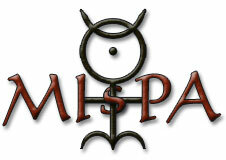 MISPA was set up in 2015 by John Green to allow worldwide access to psychological astrology, a discipline combining astrology and depth, humanistic, and transpersonal psychology. John, a tutor for the Centre for Psychological Astrology (CPA), set up the school to fulfil the demand for a qualification in psychological astrology following on from the work of Liz Greene, Howard Sasportas and many others who have been explorers in this fascinating world. Learn with him and some of the best psychological astrologers around. Browse our website where you will find details of our courses and webinars. Take a look at our recommended books, watch our astrology videos and sign up for our regular mailings to keep you up to date with all that we do.